The Reshoring Initiative, an organization committed to helping manufacturers recognize the profit potential of domestic sourcing and production, has published its updated reshoring numbers that illustrate the U.S. manufacturing advantages driving the manufacturing renaissance. A growing number of companies across the country are bringing thousands of manufacturing jobs home from offshore. California should do all it can to attract these new jobs. 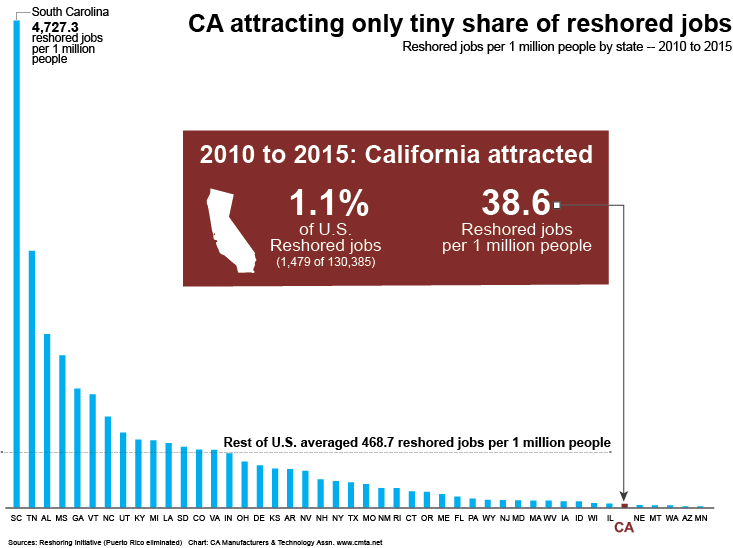 But according to the Initiative's numbers, California attracted only 34 reshores over the last three years, totaling 884 jobs and a mere 2.4 percent of the overall 36,325 reshored jobs. 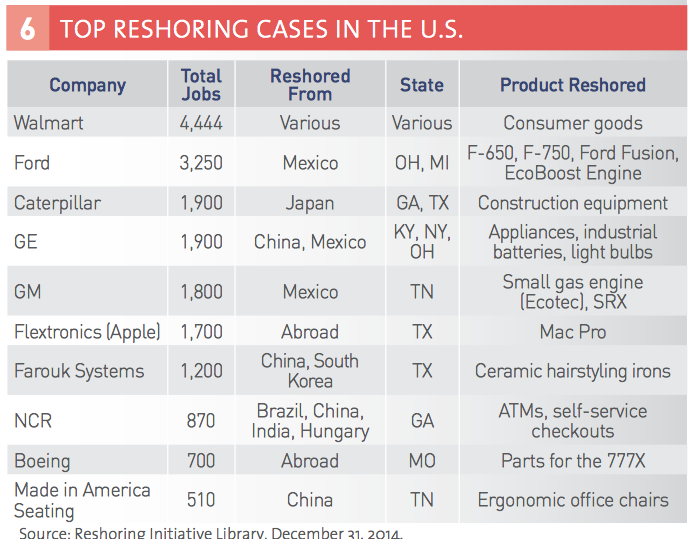 Further, California was not the destination for any of the top 10 reshoring examples noted below. Escalating offshore wages are causing companies to reevaluate total costs of doing business overseas and states are fiercely competing for these highly coveted middle class jobs. Each state is promoting their skilled workers, fair taxes and friendly business climates to beat the competition. California could be a good choice for many of these reshoring decisions. By focusing on creating a more predictable regulatory environment with less litigation and affordable energy, we could attract our fair share of reshoring investments.